In the digital marketing space, there are two main ways of attracting traffic to your website, they include search engine optimization (SEO) and pay per click (PPC) advertising. Pay per click is an internet marketing model where advertisers pay a certain fee once their ads are clicked. 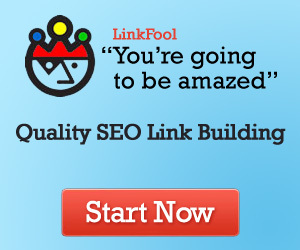 It is actually a way of buying visits to your website as opposed to earning them organically. The search engine marketing is one of the most popular forms of pay per click. It enables marketers to bid for ad placement in search engine sponsored link. This means that when someone searches for a particular keyword that is related to products or services that you are offering, then your ads might show up on top of search results page. Common question that many businesses are usually faced with is whether to hire Pay per click management service or not. Although in house management can be good choice for some, the fact still remain that hiring a professional Pay per click management service is the best choice and in this article, we are going to tell you why. One of the main benefits of hiring a professional PPC service because they have the resources, experience and skills to keep up with changes that usually occur in PPC campaign. Unlike you, they have devoted 100% of their time on this industry and they know everything that pertains it. T hey constantly read industry journals, attend conferences and well as work with other players in the industry. If you hire a professional Pay per click management service, they will ensure that you get ROI from your PPC campaign. Most people usually think that Pay per click management is simple but in reality it is not. If you lack the skills and experience to effective manage your PPC account, then you will get nothing out of it. There are so many settings that you need to master and use effectively in order to get the best result from this form of marketing. If you set something as simple as geo targeting wrong, then you will not get anything good. If you don’t want your adwords to perform poorly, then it is recommended that you hire professional Pay per click management service to handle your account. They will ensure that every setting is correctly configured to enable you have a successful PPC campaign. Selecting the right keyword to drive the right visitors to your website is not easy as many people think. If you are not experienced, then you will end up selecting keywords that will not drive visitors to your site. In case you do, then you will not drive serious visitors who are ready to take an action that you want them to. Every PPC campaign is unique and requires different keyword strategy. If you hire the services of a professional PPC service, they will ensure that they select the right keywords that are relevant to your business to ensure that you get traffic that will result to conversion to boost your ROI.